All you need is the right piece of video editing software to turn your boring and tiresome task into a simple and hassle-free one. Well, we don’t really like to spend our precious time sitting in front of our laptop, do we? This is when this editing software comes in rescue. Let’s dig into the best video editing software for Windows that will surely help you get the best out of your videos. Time to put your eye on the best editing option that you have been wanting for a long time now. Make sure to choose the one that fits your needs the best. It is a name that is very well-known to most of us. Whether you are a beginner or an experienced pro, this tool does the job for you just right. It is not very complex and is available for editing all sort of videos. This software is best suitable for the editing professionals. However, the beginners can use it as well but it might take them a little time to grasp the editing concepts. It comes with tons of features and elements for one to use. Some of them are face effects, face detection, and so on. You can download this Windows video editing software here. If you are someone who has no idea of how video editing software functions, this option is just the one for you. This falls more under the category “tools.” Social media makers who want flashy blinks can opt for this tool and get the best out of it. It has the ability to convert your blogs directly into promos on social media. The whole process is not as perfect as it sounds. There is a lot you can do with your blog using this tool. The drag and drop interface is the one to fall for. You can use this video editing software here. First of all, this video editing software is not free and you will have to pay an amount to use the software. It comes stocked with a lot of with a lot of tricks that is difficult to find in some other random software. Furthermore, if you are someone who is willing to spend some money on learning editing videos, then this software is the one for you. Nero Video functions according to the speed and functionality. Moreover, the choice is yours if you wish to buy and use this software. This video editing software is one of its kind and is known to be one of the best options for editing any sort of video. It includes 360-degrees and provides support of video edits up to 4k. Furthermore, it also provides options to motion track any sort of software. Its motion tracking system is the best out of all the systems. One of the thing to fall for is its speed. It is capable of leaving a lot of major lists on the backtrack which sure is a good thing. You can download this video editor software from here. 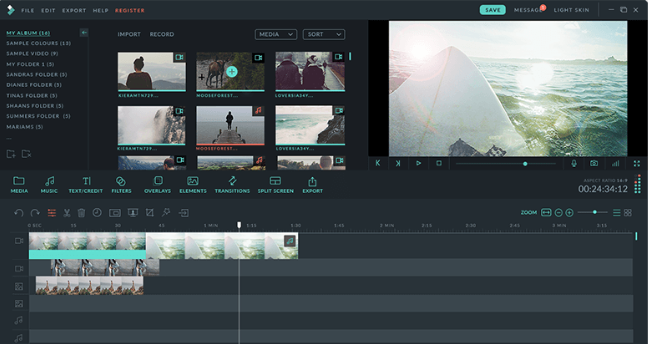 Filmora is one of the best video editing software that is widely used by most of the editors. The standard it uses is that of Wondershare and it offers a high and simple editing experience to anyone using it. Above all, Wondershare also provides FilmoraGo with the help of which screen editing and recording become a lot easier. The design it comes along with is very intuitive and has an interface which is relatively very easy to use. It comes embedded with lots of motion effects and overlays. Alongside, it also gives royalty-free music which is one thing that most of the editors look for. You can download this from here. If you want a video editing software on the higher end, then this option pretty much does the job for you. The cost that you have to pay for buying this amounts to $129, which is the ultimate version. Furthermore, it costs twice more than the other mentioned option. The interface is pretty easy to use and triggers the growth of its use as well. So, if you are looking for high-end ultra speed, then you might want to opt for this. This is the one that will cater to your needs and requirements of editing. 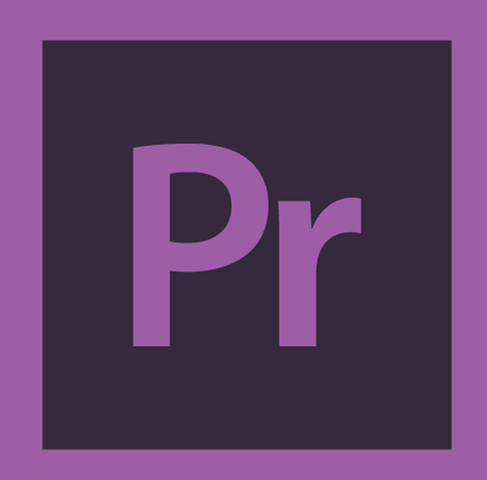 You can download this video editing software from here. It comes along with options of 4k video support and 360 Virtual Reality options. Alongside, it provides options to store, organize, as well as share assets with anyone online. It is one of the best editing software that one can get their hands on. One of the best tools that it offers is the Lumetri Color Tool which helps in the adjustment and manipulation. Furthermore, it comes with a multiple camera feature as well. It allows using unlimited angles in the camera, unlike other software. So that’s it. Here the final list of Windows Video Editor Software that you can start using to edit or create eye-catching videos for your Youtube Channel, Blog or Social Media Pages. That was all the idea about the best video editing software for Windows. You can use the free ones or pay a price to get hands on the best option. The choice is all yours. However, make sure the software you use satisfies your editing needs.